Hum…this must be pretty important because, did you notice, Paul says it twice just to be sure the Philippians got it. Whether things are going really well right now for us or whether we are in the middle of a tough time, I think it’s important that we rejoice. Why? Because “joy rests not on favorable circumstances, but ‘in the Lord.’”1 Besides, praise is a great spiritual weapon! The devil can’t stand it when we acknowledge our blessings come from the Lord. What a vivid picture of the moments we let waste away while thinking about how the grass is greener at someone else’s house. Whatever things are, “ true, …honorable, …right, …pure, …lovely, …of good repute, if there is any excellence and if anything worthy of praise, dwell on these things” (Philippians 4:8). 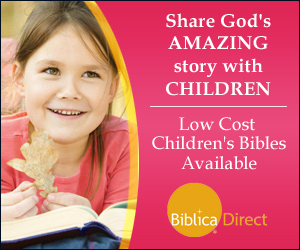 Let’s think on all the things God has done for us and blessed us with. Join me in praising Him today! 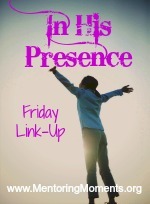 Now it’s your turn…link up and tell us what the Lord brings to your mind as you spend time in His Presence. I can guarantee you this…the devil doesn’t want you to spend time alone with God and he will throw every distraction he can at you today. Don’t let him! Praying for you!